I like coffee. A lot. This is no secret if you follow me on Facebook, where I always feel compelled to share my love for the taste, smell, and (of course) effects of coffee. I have kind of gone back and forth about my coffee addiction. I mean, adoration. In the past, I occasionally felt too dependent on caffeine and tried hard to whittle myself down to a few-times-a-week drinker v. an every day drinker. When I got pregnant, I pretty much gave up coffee completely. And then I had a newborn and – WHAM! – I was back to my old ways. Hello, caffeine. I love you so hard. I need you in my life. Homemade coffee creamer had intrigued me for a while. The hubs & I can easily go through two bottles of the stuff in a week (don’t judge us). At $3 a pop, that’s $24 per month on coffee creamer. No bueno. So, it’s no wonder I took a stab at making my own. If you’re hooked on store-bought creamer, just looking to save a few bucks, or (like me when I was forced to stop contemplating & actually take a stab at it) have run out of coffee creamer and are either unable or too lazy to run to the store…then today’s your day. 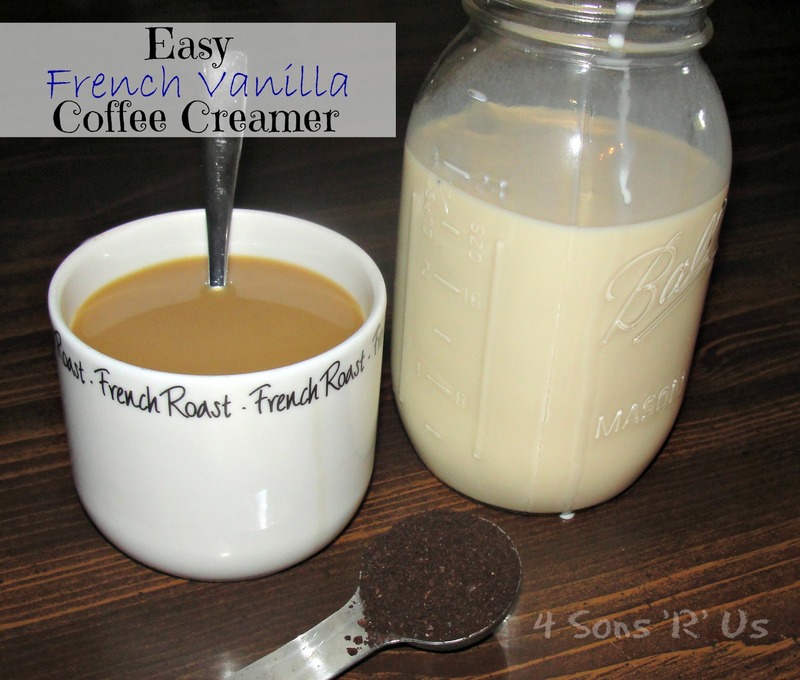 Here are over 2 dozen recipes using regular ingredients so you can make your own rich and affordable creamer from home. 1. Pour into a large mason jar and shake, shake, shake until combined. It’s literally THAT easy! Looking for a different flavor? I’ve got you covered. Make the ‘base’ recipe which is the condensed milk with the addition of the regular milk or cream. Then add in any of the following flavor combinations. Your creamer will be good up til the expiration date on the milk or cream you used in your base recipe.